Our product range includes a wide range of diesel cylinder sleeve, engine cylinder sleeve, industrial cylinder sleeves, automotive cylinder sleeves, cylinder sleeve and dry cylinder sleeves. We have emerged as a leading manufacturer, exporter and supplier of premium quality Diesel Cylinder Sleeve. The provided cylinder sleeve is manufactured from grey cast iron and is known for their wear resistance, strength and durability. Apart from this our range is available in different automotive vehicles models. Customers can avail this cylinder sleeve at market leading price in a promised time frame. Owing to years of industry-experience and knowledge, we have been able to offer an extensive array of Engine Cylinder Sleeve. 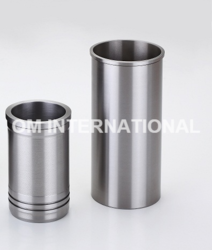 This cylinder sleeve is ideal for fitting applications in automobile equipments, compressors and other devices. The offered cylinder sleeve is accessible in assorted specifications so as to meet the requirements of customers.Our cylinder sleeve is inspected on several quality parameters by our quality controllers for dispatching a defect free range. To meet the varied requirements of our prestigious clients, we are engaged in offering Industrial Cylinder Sleeve. Our given cylinder sleeve is developed with varied features such as higher level of reliability, longer life, and resistance to wear & tear. This cylinder sleeve is stringently tested on numerous parameters for supplying a flawless range. The cylinder sleeve offered by us is available in several specifications as per the needs of customers. Backed by years of experience, we are engaged in providing wide range of Automotive Cylinder Sleeves. The provided sleeves are manufactured by our skillful professionals using high quality raw material and cutting-edge technology in compliance with global quality norms. 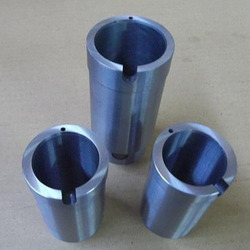 Our offered cylinder sleeves are available in various specifications at reasonable prices. In addition to this, our team of quality controllers checks this automotive cylinder sleeves on variegated quality parameters to ensure its optimum quality and durability. Keeping in mind the various requirements of the customers, we are involved in offering the best quality of Cylinder Sleeves. These Cylinder Sleeves are widely used in engine blocks to provide a hard-wearing material for pistons and piston rings. Further, these products are available in the market in bulk at reasonable rates. We are known as the reputed manufacturer, exporter and supplier of a wide array of excellent quality Dry Cylinder Sleeves. This cylinder sleeve is manufactured from the superb quality material and sophisticated technology in compliance with international norms. The offered cylinder sleeve is accessible in assorted specifications so as to meet the requirements of customers.Our cylinder sleeve is inspected on several quality parameters by our quality controllers for dispatching a defect free range. The provided sleeves are manufactured by our skillful professionals using high quality raw material and cutting-edge technology in compliance with global quality norms. Our offered cylinder sleeves are available in various specifications at reasonable prices. We are an unparalleled name, engaged in offering a premium quality range of Cylinder Liner Sleeves. This liner sleeve is inspected on diverse parameters for delivering a defect free range. Offered liner sleeve is designed from the superior quality material & contemporary techniques in fulfillment with the standards of industry. Our esteemed customers can avail this liner sleeve in a given time at nominal price.